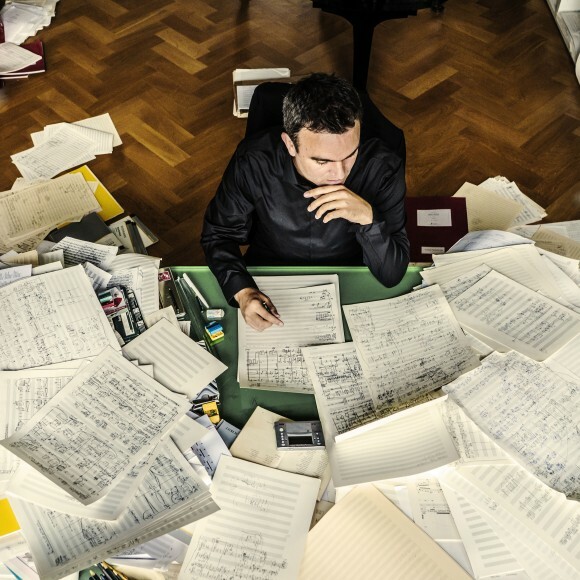 German musician Jörg Widmann says that for him, everything began with the clarinet. He started playing the clarinet at age 7; shortly after, he discovered the piano, along with the impulse and ability to write music. Surrounded by peers who too were playing instruments, he had ample opportunity to hear his music come alive. The world-class clarinetist is also a a pianist, conductor, and a composer known for discovering new sounds in classical music. On Jan. 24 at the 92Y, Widmann will play a Brahms piece for clarinet and string quartet, the famous “Clarinet Quintet,” with repeat collaborators Pacifica Quartet, who will also perform Widmann’s own “Hunt Quartet.” The Pacifica Quartet members are Simin Ganatra, first violin; Sibbi Bernhardsson, second violin; Masumi Per Rostad, viola; and Brandon Vamos, cello. 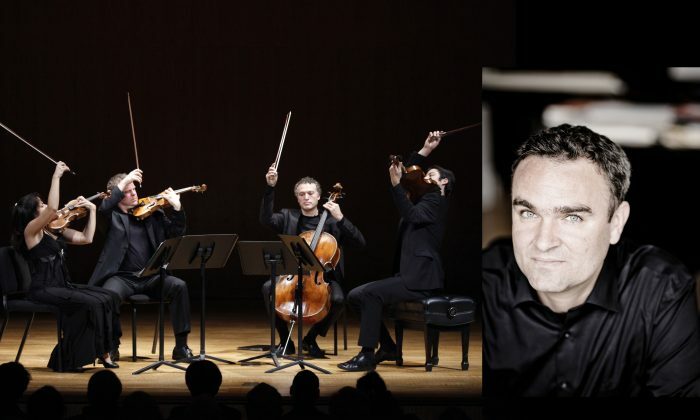 The first piece Widmann and the Pacifica Quartet ever played together was Brahms’s Clarinet Quintet, when they had been programmed together at a little music festival in Badenweiler, a southern Germany city, almost a decade ago. Brahms (1833–1897), near the end of his life, had actually not intended to write any new works after 1890. But inspired in 1891 during a performance by Richard Mühlfeld, principal clarinetist of the court orchestra in Meiningen, he quickly set upon composing a set of works for clarinet: a trio, two sonatas, and the Clarinet Quintet. Widmann’s interpretation of the quintet, one of the last chamber music pieces Brahms ever wrote, is a series of goodbyes. The last movement is a set of variations in which Widmann hears Brahms’s farewells to many loved ones: There is a cello variation in which he says goodbye to Bach, another variation that pays homage to Schubert, and of course, a motif for Clara Schumann, whom he loved deeply. “But of course, in every line, it’s Brahms,” Widmann said. It is a very personal piece for the clarinetist—when he began music studies at age 7, the quintet was one of his first LPs. “I had many recordings of it, and I immediately fell in love with the piece without maybe understanding it. I mean, how could you, as a young person?” he said. The first time he played it was with classmates as a teenager, and since then, Widmann has played it hundreds and hundreds of times, and with many different acclaimed string quartets. “This particular kind of melancholy, it’s something you cannot produce only artificially. It is either inside you or not. With Pacifica, we did not have to force anything,” he said. Brahms is indeed a particularly melancholic composer, noted for emulating Classical-era composers during the Romantic period. His clarinet quintet evokes not just Mozart’s clarinet quintet, but the form and style used by Mozart. Pacifica will open with Haydn’s Op. 76, No. 1, in G major. It is the first of a set of the last six quartets Haydn ever wrote, and some of his most ambitious chamber works. 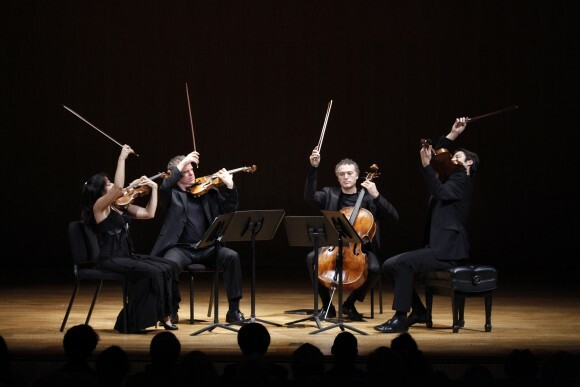 Then they will play Widmann’s “Hunt Quartet,” which was written as the third piece in a cycle of five string quartets that pay tribute to the classical movements of the string quartet form. Traditionally, there is a quick movement, a slow one, a minuet and trio, and then another slow movement. Widmann wrote a quartet for each movement and then ends with an extra fugue-inspired piece. The “Hunt Quartet” is based on a scherzo, meaning “joke” in Italian, which generally refers to a quick movement that replaces the minuet. “The ‘Hunt’—the only way I can describe it is madcap,” said Pacifica Quartet violist Masumi Per Rostad. When the quartet first played it years ago, it took a lot of work to get through the first reading of it, he said. Widmann quotes a phrase from Beethoven’s Seventh Symphony, and that rhythm is carried throughout “Hunt.” There are fragments of an old hunting song throughout the piece, and Mozart and Haydn also wrote hunt quartets. At the same time, the string quartet is making all these unusual sounds, Per Rostad noted. In Haydn’s time, a scherzo was playful, humorous, and a light joke. By Beethoven’s time, it was already much darker, and by the 20th century, “these were suicide-scherzos,” Widmann said. While he was composing, he asked himself, what does a scherzo mean to us today? What, in our society, would be the scherzo of our time? With Widmann’s scherzo, it is sort of a black comedy. The story he pictures unfolding is almost like a political drama—something goes wrong, and the group that set out on a hunting trip now has to pick someone to blame. At the end of the quartet, they scapegoat the cellist. “At the same time, it’s just a scherzo,” Widmann said with a laugh.